Welcome to the Freefall Uni Madrid. 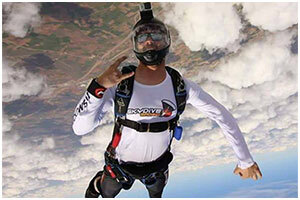 Learn to skydive in just 3 days. 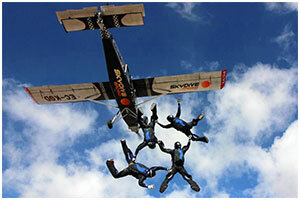 Whether you aspire to learn to skydive on an AFF course or progress your skills in your chosen discipline we can help. Using the latest teaching techniques combining wind tunnels and the sky take advantage of our hybrid courses. Tell us where you are at and where you would like to go ? We can encompass the BPA FF1 FF2 requirements in cutomized tunnel and sky training. Mix it up for max progression. Using the wind tunnel and the sky we can help you achieve your goals. For example you might wish to get your FS1 using tunnel and sky. Maybe you want to be part of a rookie team or need more custom AAA team training. Talk to us about tunnel and sky combined.